Atmospheric Carbon: Can We Offset the Increase? 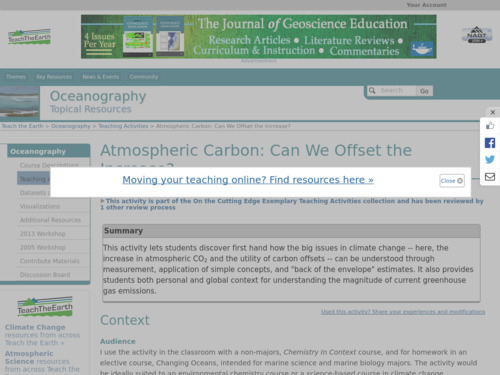 This is a multi-step activity that helps students measure, investigate, and understand the increase in atmospheric CO2 and the utility of carbon offsets. It also enables students to understand that carbon offsets, through reforestation, are not sufficient to balance increases in atmospheric C02 concentration. 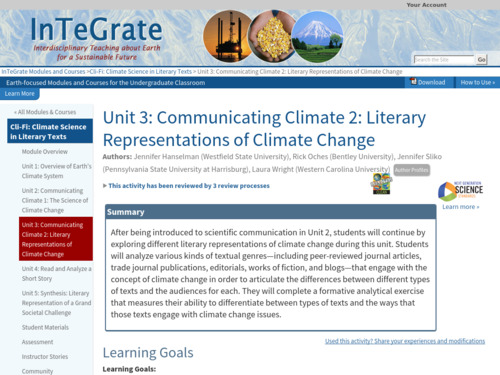 This activity explores how the topic of climate change is represented in various forms of writing, from scholarly articles to opinion pieces and works of fiction. While the content does not emphasize climate science itself, it instead allows students to focus on how the science is being portrayed. This is the ninth and final lesson in a series of lessons about climate change. 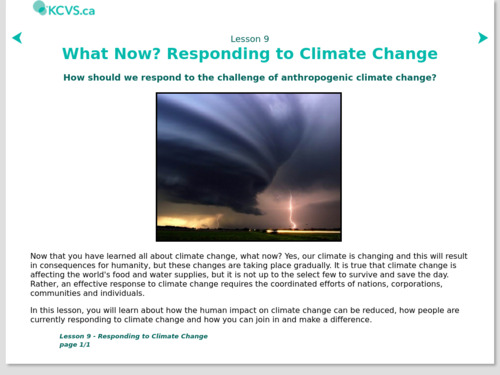 This lesson focuses on the various activities that humans can do to mitigate the effects of climate change. This includes information on current and predicted CO2 emission scenarios across the globe, alternative energy sources, and how people are currently responding to climate change. Importantly, this lesson is motivating in showing students that they can make a difference. 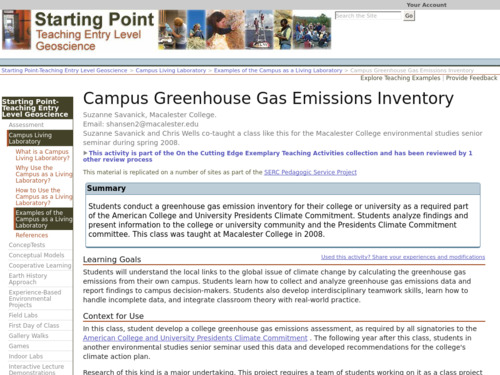 Students conduct a greenhouse gas emission inventory for their college or university as a required part of the American College and University Presidents Climate Commitment. 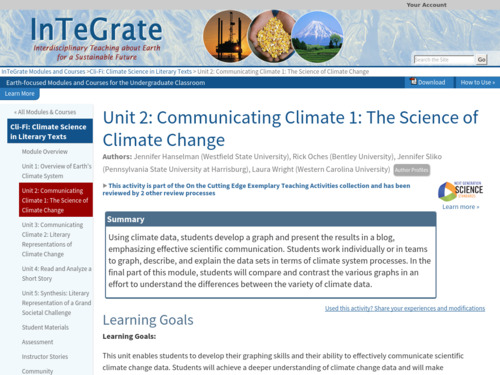 In this activity, students use climate data to develop a simple graph of how climate has changed over time and then present the result in a blog, emphasizing effective science communication.